Notre Dame Figure Skating is a club sport at the University of Notre Dame comprised of students from the University of Notre Dame, Saint Mary's College, and Holy Cross College. Notre Dame Figure Skating Club is a member of the US Figure Skating Association and has an Intercollegiate and Synchronized Skating division. 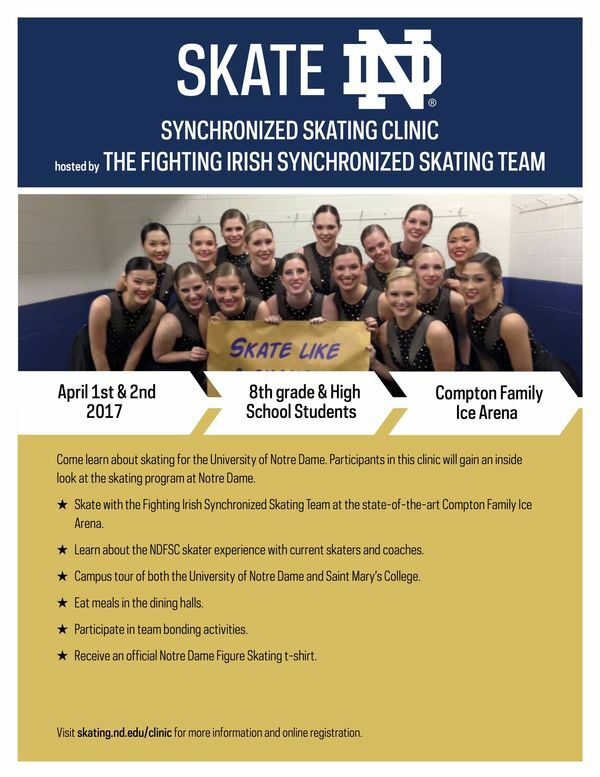 Don't forget to visit the "Skate ND" tab to find out all about our recruitment clinic in the spring. The event will be April 1 and 2nd, 2017. We look forward to seeing you there.